It’s true. 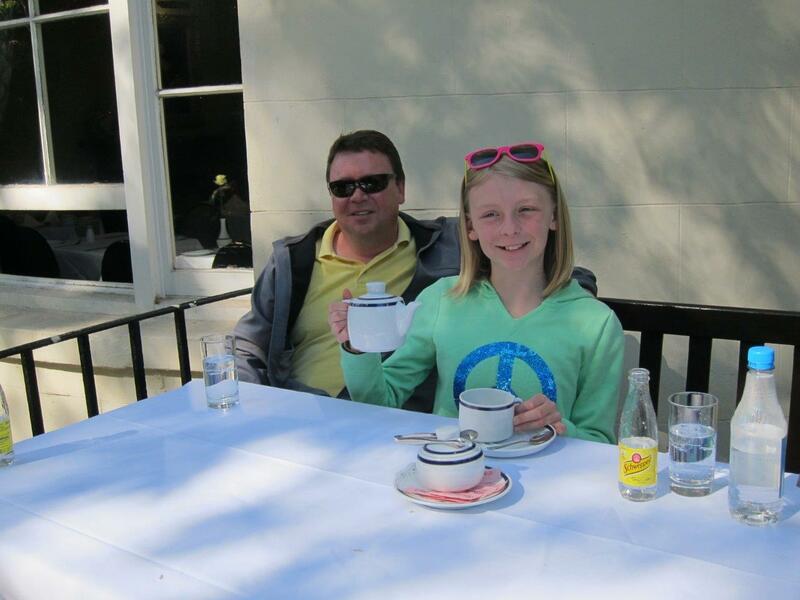 We were sitting out at a sidewalk café in the shadow of the London Bridge south pier having a 4 o’clock and Sarah ordered tea. The waitress told her that they stopped serving tea at 2:30pm! No tea? How can this be? OK, it was more of a Spanish tapas bar type place but still, this is London people! 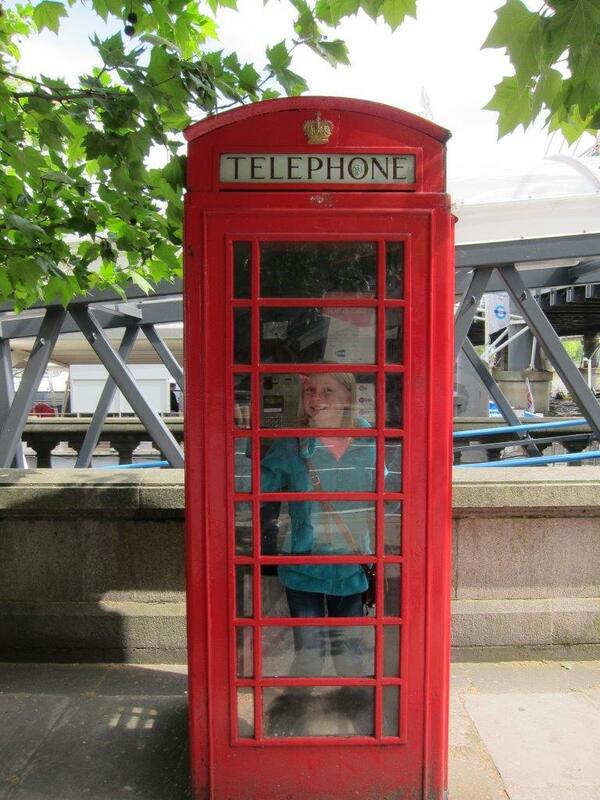 We finally made it to England. I wasn’t sure we were going to fit it into our travels but in the end we decided no European tour would be complete without a stop in Merry Old England, so on another long May weekend we set off for London. We arrived in a cold, pouring rain. I was beginning to rethink the wisdom of the 70 euro discount airline tickets. The day started with a drive to Lyon (about 2 hours). Then we caught our flight to Luton, the commuter airport north of London (about 2 hours). Turns out its WAY north of London. Then we hopped a shuttle bus to the train station (10 minutes). Then we caught the train into London (50 minutes). Then we took the “tubes” (London subway) to get to the part of town where our hotel was (15 minutes smashed in like sardines with all the rush-hour commuters). Then we wandered around on the streets for 30 minutes trying to find our hotel. LONG, tiring day. 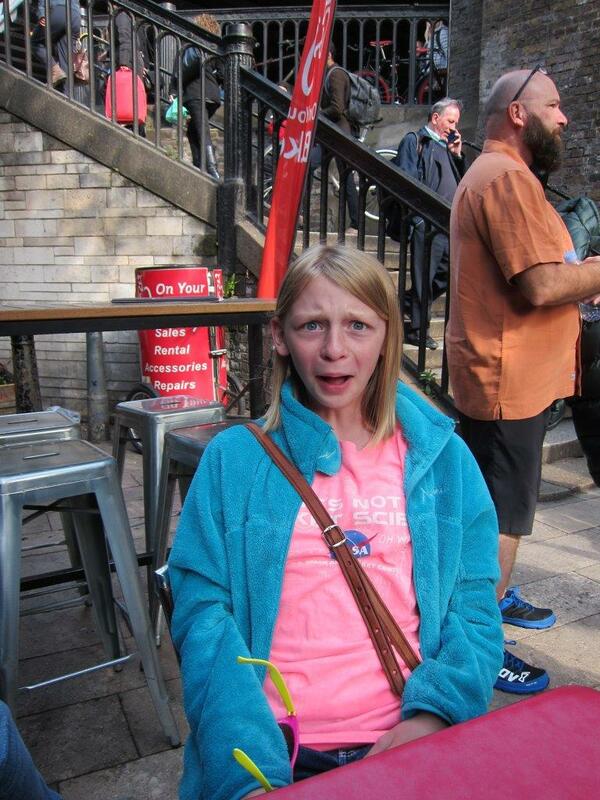 Sarah was quite unhappy by the time we got to our room. Accidentally pulling her roll-along suitcase through a deep puddle didn’t help her mood. But the next day was bright and sunny and we found a pub just down the street that served a great English breakfast – which includes meat – which most French/Spanish/Italian breakfasts do not. In a much better mood we set out for the Tower of London. 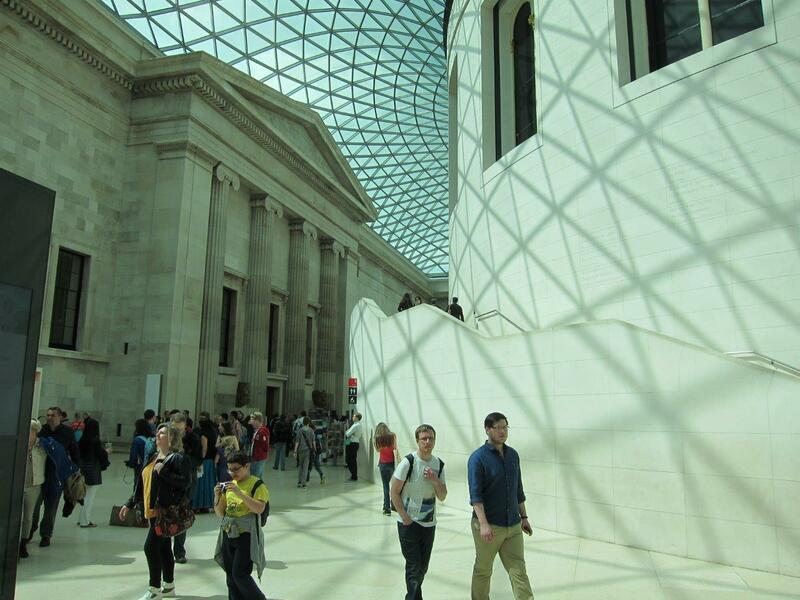 Sarah had spent hours researching the London sites and she had a pretty big itinerary planned for our two days here. The Tower was the first stop. 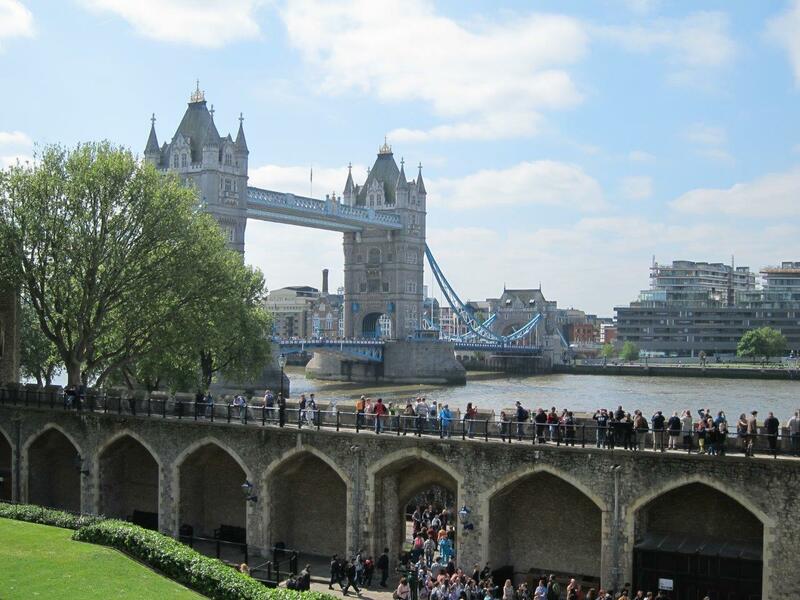 Started in the 14th century, the Tower of London was originally a castle and armory and grew gradually larger and more secure under various rulers through the centuries. Today it’s a museum where the royal jewels are kept on display. 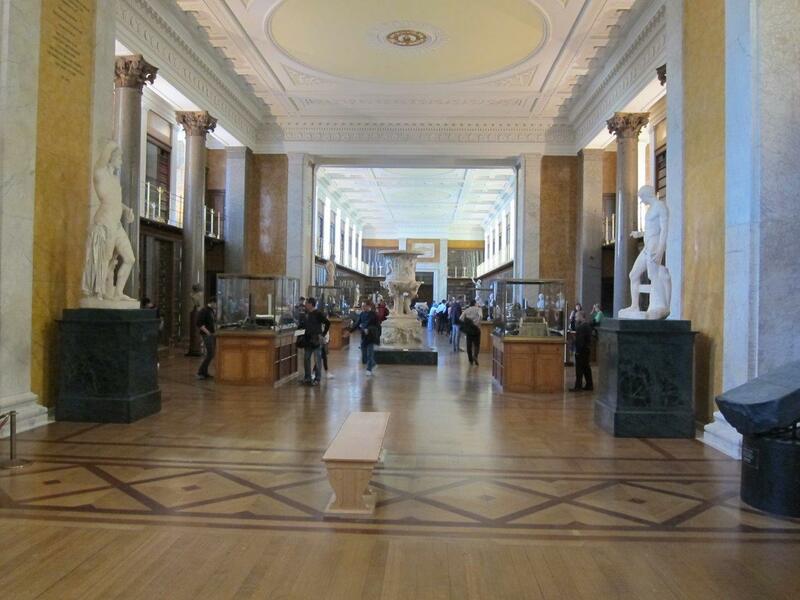 No photography allowed in the jewel room though, so you’ll just have to go for yourself. 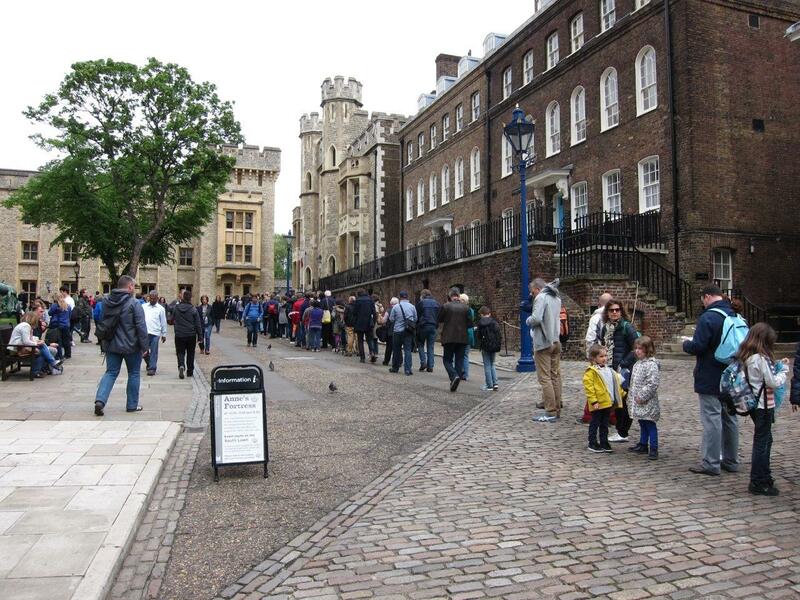 This is the late-morning line of people waiting to see the royal jewels. This crowd is already inside the museum gates, now waiting for access to the tower where the jewels are displayed. Thankfully we were not one of these people! 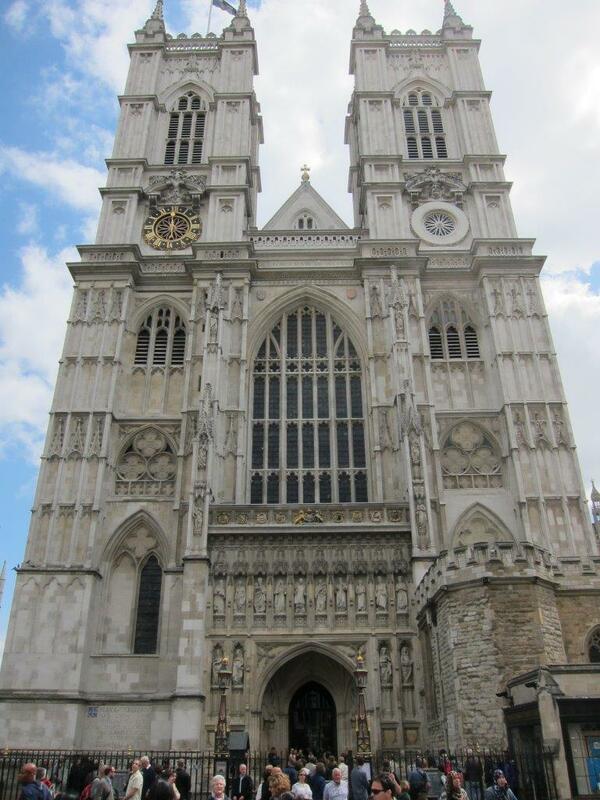 Kate had pre-purchased our tickets to the Tower of London and Westminster Abbey online and we arrived just after the museum opened and went directly to the jewel display. No wait, no crowd, and we even got to go back and ride the moving sidewalk past the plethora of crowns and scepters and centuries of royal paraphernalia a second time. After ogling the sparkly stuff we toured through some of the other battlements and dungeons and living quarters. 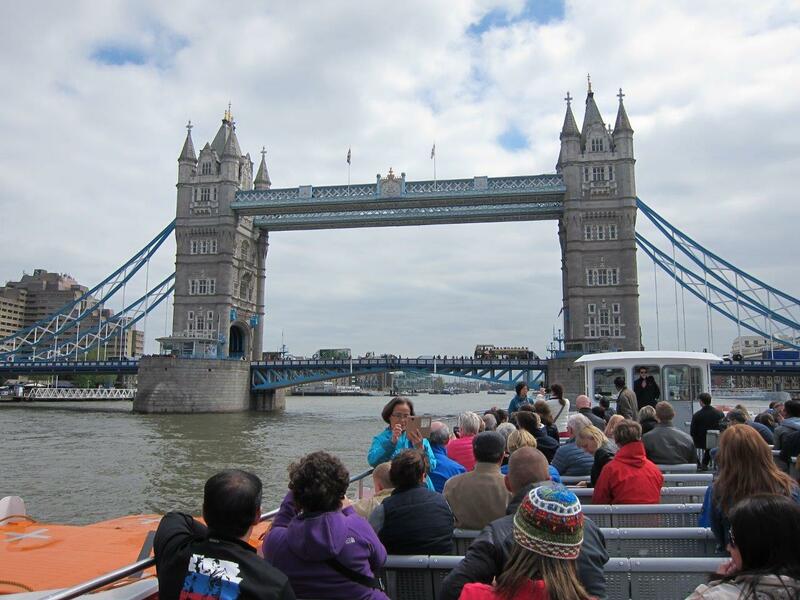 Then we hopped a tour boat for a cruise up the Thames River. Turns out this is a great way to see some of the most famous sites in the city because the waterfront is where all the cool stuff is always built. 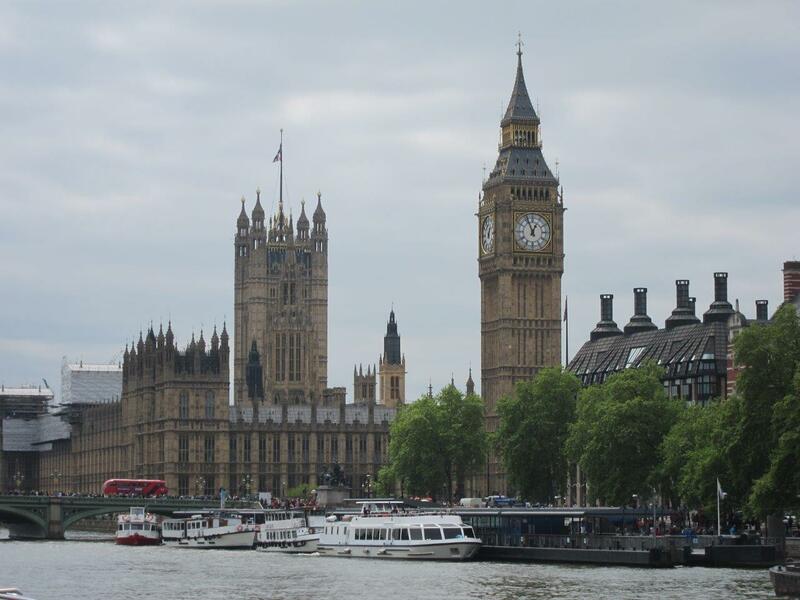 We disembarked near Big Ben and Westminster Abbey and found a floating restaurant for lunch. Fish and chips and a pint of bitter of course. After lunch we continued strolling back through the city stopping here and there to look at stuff. Turns out we walked right past #10 Downing Street and didn’t even realize it. I think we were too engrossed in searching for lunch at that point. 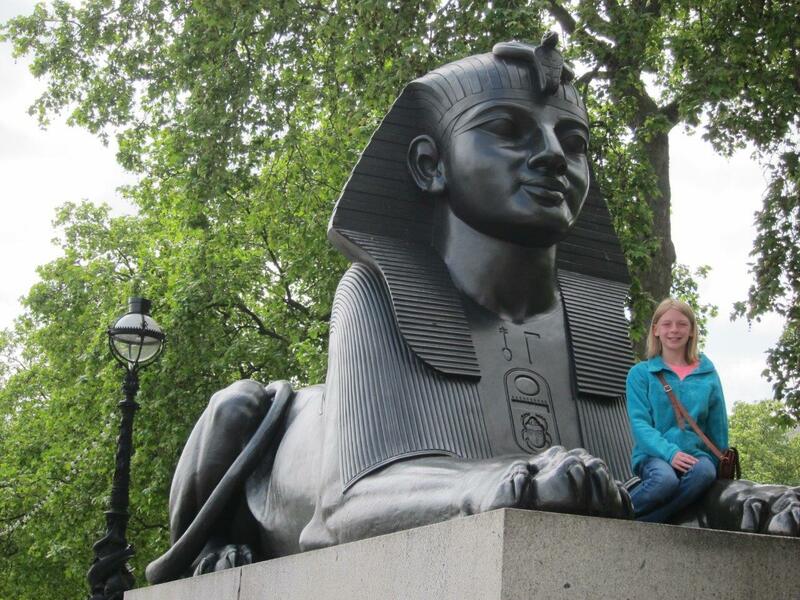 We saw lots of statues and artifacts from ancient Egypt and other parts of the world. I knew the British Empire spanned most of the globe at one point, but I never really thought about them bringing home “souvenirs” from all over. I guess the term “plundering” is probably quite applicable you asked some of the original owners! Other sites were most uniquely British. We saw some of those too. It’s apparently custom in London to stop off at the corner pub for a pint or two on the way home from the office. If the weather is nice one stands outside on the sidewalk to enjoy the sunshine with the beer. I thought this one was particularly amusing. 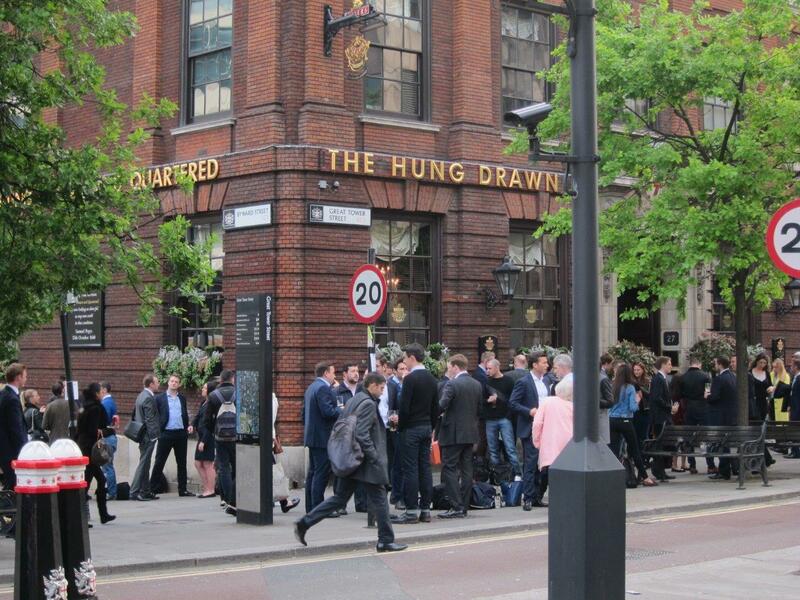 I don’t think I’d be willing to be hung, drawn, and quartered just for a drink though! The next morning we got up and after another non-continental breakfast we went straight to Westminster Abbey to arrive as the doors opened. Thank God Kate had pre-purchased tickets. The ticket line stretched across the grounds and around the block! We went right in and picked up our audio guides to learn about one of the most famous churches in the world. I didn’t realize that there are over 1000 years of British kings buried here, as well as many other famous English notorieties including Sir Isaac Newton. Not Winston Churchill though. When asked if he would like to be laid to rest at Westminster, he is rumored to have replied “people have been walking over me all my life and I don’t want them doing it after I’m dead”! Most of the non-royalty rest beneath the large stone tiles in the floor. There is a monument to Churchill near the door however. Again no photos allowed though. Sorry! 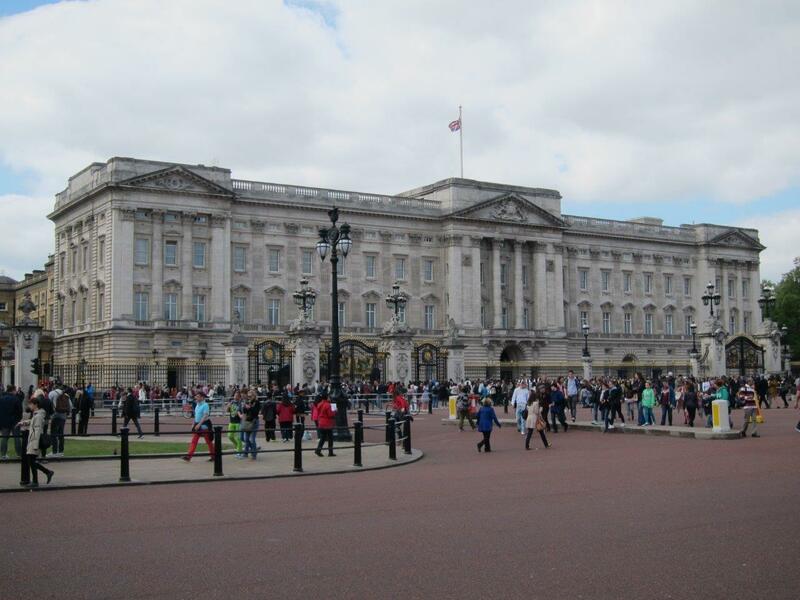 Leaving the abbey we strolled through St James Park over to Buckingham Palace. I wasn’t that impressed though. 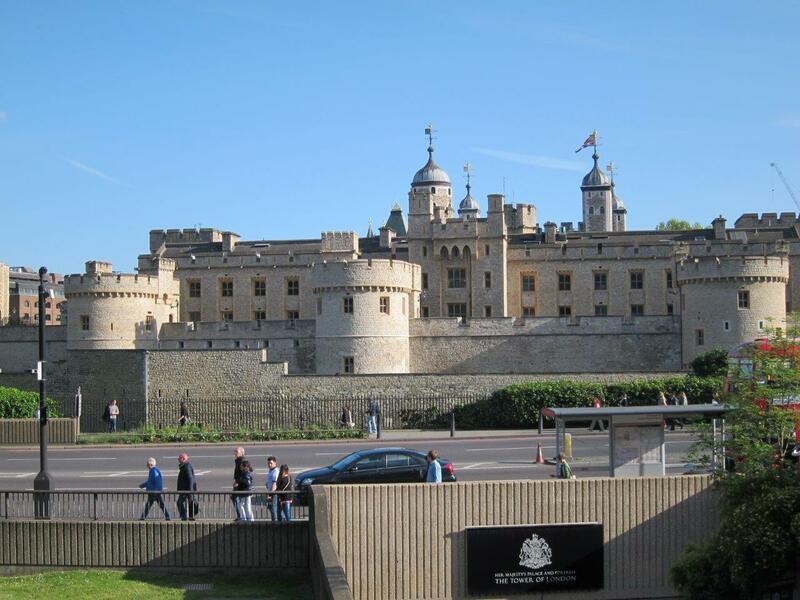 I thought the Tower of London looked much more like what a royal residence should be. All castle-y and stuff. 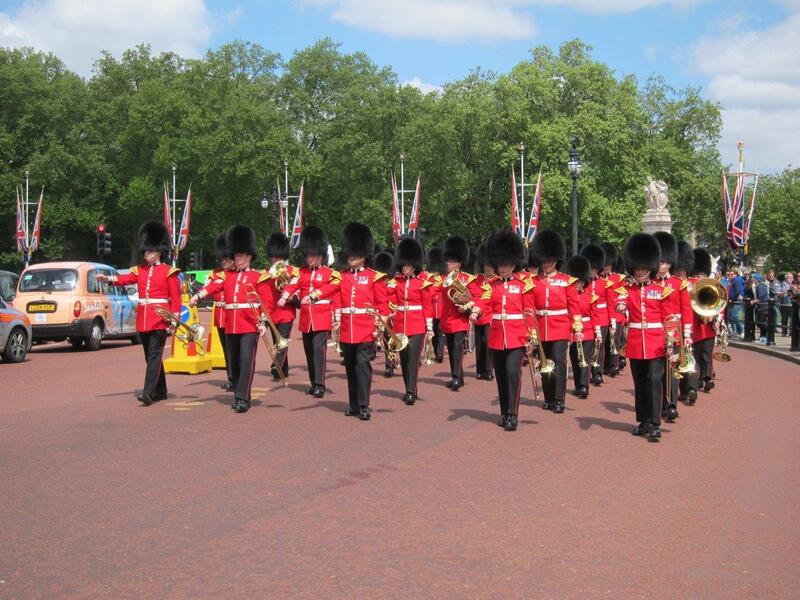 We did manage to get an up close view of the British “Beefeater” Military Marching Band coming up the Mall in front of the palace though. That was pretty cool. 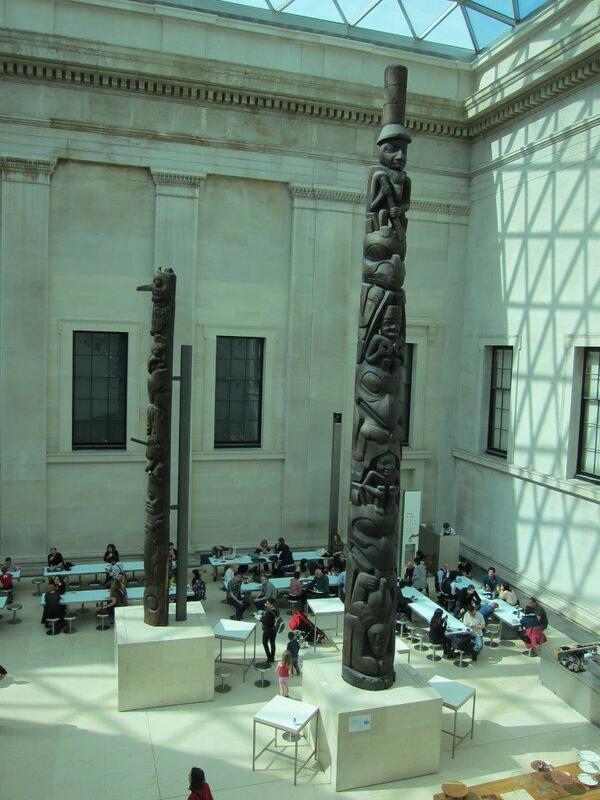 After lunch we made our way over to the British Museum. This is the place where lots of that ancient plunder wound up. 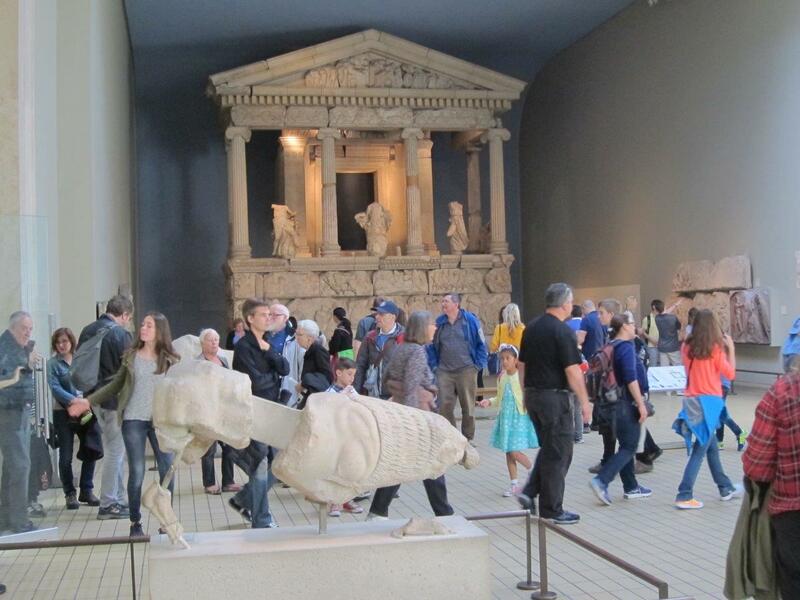 Sarah wanted to see the Greek and Egyptian artifacts and relics. They did indeed have lots of relics from all over the world. The place was huge. I think you could spend a week in there and not see it all. 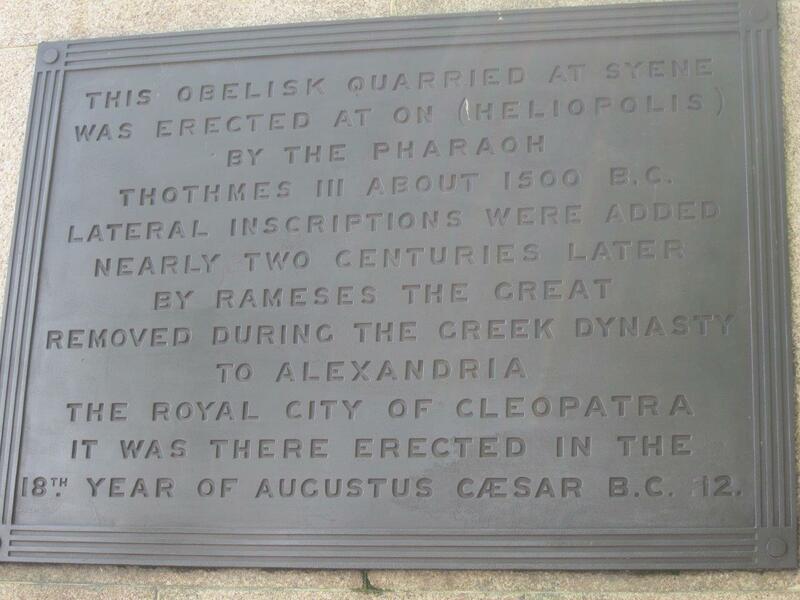 They had pieces of Greece and Rome and Egypt and lots of other ancient cultures. In some cases I think they dis-assembled and shipped whole temples back to mother England. 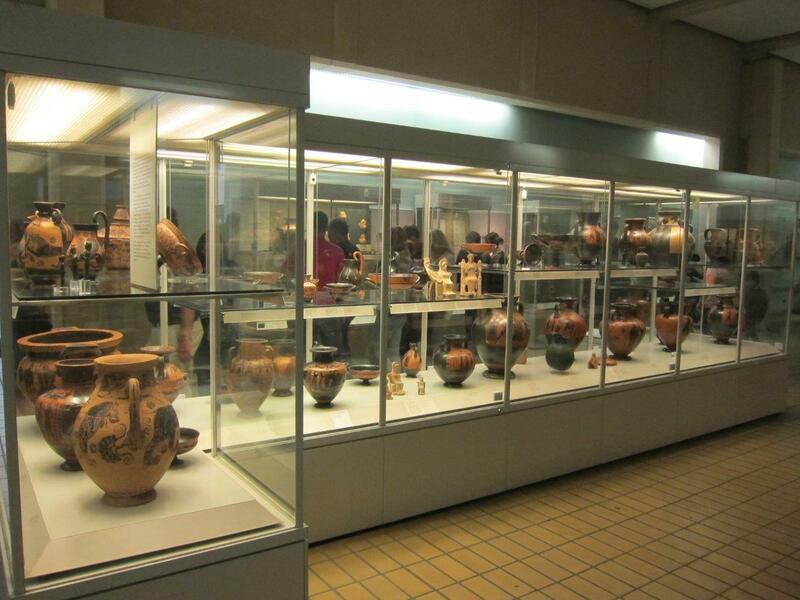 They even had relics of pottery and small figurines dating back to almost 4,000 BC. I still can’t get my head around looking at man-made stuff that’s 6,000 years old. 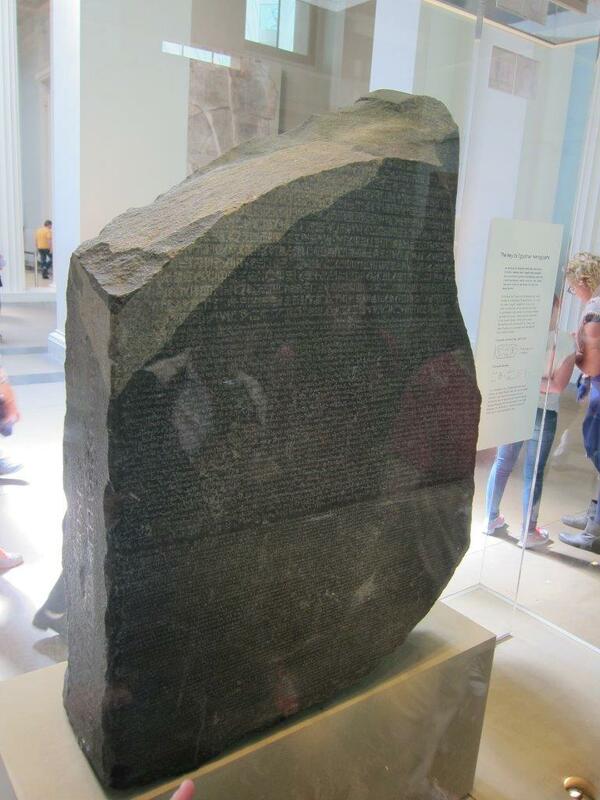 One of the items I liked the best was the Rosetta Stone. Discovered in 1799, the Rosetta Stone was the key to understanding the Egyptian hieroglyphics because it was a decree duplicated in three languages: ancient hieroglyphics, demotic (the working Egyptian language at the time of the decree in 196 BC), and Greek. After two days of heavy touring and a long afternoon at the museum we were pretty beat, so we found a nice quiet English garden at a hotel/restaurant around the corner. And Sarah finally got her proper tea.